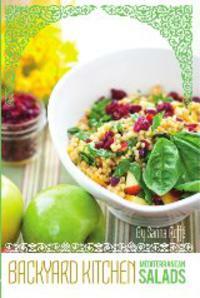 Sarina's Sephardic Cuisine - Kosher Family Recipes - Haven't Heard of Thanksgivukkah? Are you on Mars? Haven't Heard of Thanksgivukkah? Are you on Mars? Seriously, if you haven’t heard the term Thanksgivukuh by now, you must have been on Mars! I mean really? Even the NY Times had a front page piece on it. And it has become the marketing event of the century. Umm, did I say century? Maybe 77 or so millennium is more like it. That’s the next time it will happen will be long after our GGGGGGGGGGGGGG grandchildren are gone. President Abraham Lincoln declared Thanksgiving a national holiday in 1863. In 1888, for the first time the holiday converged with Hanukkah. That was 125 years ago. This year Thanksgiving and Hanukkah converge on the same date, Nov 28. That means that while you are eating Turkey Thursday, you can light the second candle after dark. (we light the first candle Wednesday night) and eat sweet potato latkes. And the marketing? OMG, I’ve seen menorahs shaped like turkeys, T-shirts, mugs, boxes, dreidels, and the latest term – Menurkey, coined by a 9 year old from Brooklyn. The young darling is selling turkey shaped menorahs – soooo cute! Seriously, who wouldn’t want a one of a kind Thanksgivukah T-shirt. They will be everyone’s gift this year. But maybe wait till after the holiday when they are half price? My father taught me to always go for the sale. Seriously, Hanukkah and Thanksgiving both celebrate religious freedom, so the fact that they are on the same date this year is very cool. The Pilgrims sought religious freedom in the New World and celebrated with Thanksgiving. The Maccabees triumphed over the Assyrians in the 2nd Century BC, when they rebelled against King Antiochus IV and the mandate to worship Greek idols. As Jews, we fought religious oppression, earned our freedom and thanked Hashem for the miracle of such a tiny amount of oil burning on the menorah for 8 days. So Hanukkahis 8 days, one for each day of the Hanukkah miracle. Many family give gifts to children on Hanukkah. This is NOT a Sephardic tradition. It is a way to counter the Christmas gift marketing our children see all around us. But what are we teaching our children? 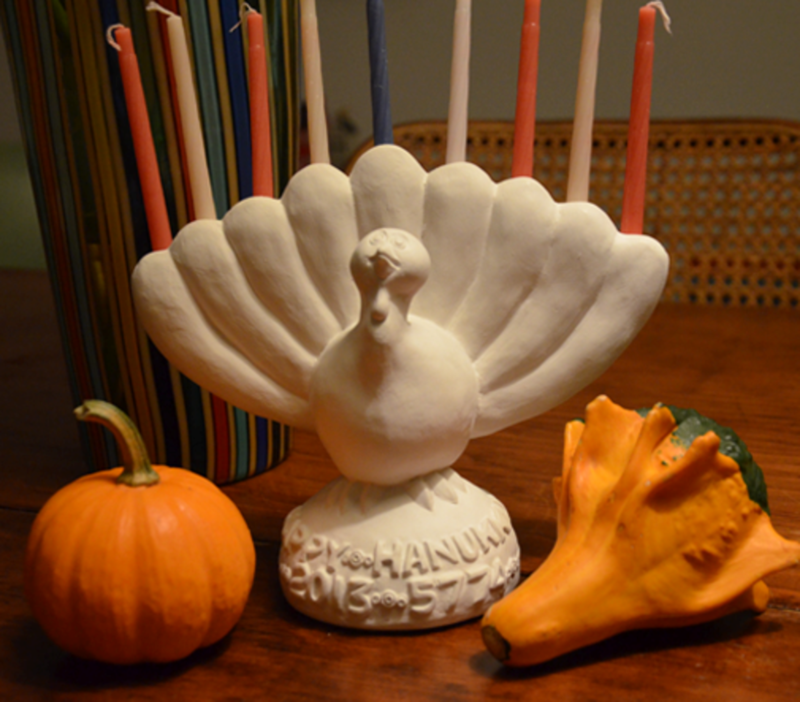 An alternative idea this year is to use Thanksgivukah as a way to create a new tradition. Think of asking everyone to donate to a tzedekah box and then have guests pitch a charity to receive the proceeds. Take a vote to decide where the money will be donated. It’s not about the amount of money but the idea of giving. Or better yet, every night of Hanukkah, choose a different organization to donate to. Another cool and meaningful tradition, one that teaches children chesed (acts of loving kindness), is to ask children to give up one of their new toys to donate to a local toy drive. Now to get to the food. I promise I didn’t forget. We are watching the recipes and postings all around us by bloggers and cooks everywhere. I’ve seen pumpkin latkes, turkey brined in kosher wine, cranberry dip for latkes, none of these are Sephardic persay, but as Sephardic cooks do everywhere, we adapt to the ingredients available to us and apply them as we can. Sarina’s Sephardic Cuisine has posted Thanskgiving Sephardic Style to the web site. Check out our Savory Sweet Potato Latkes, Cranapple Carrot Couscous, Challah Chestnut Stuffing and our Moist Beer Turkey. For dessert, may we suggest our apple pie? More desserts will be posted soon. So the question is - No more Chrismakuh?